The global leader in GPS navigation, Garmin has introduced its new Custom Maps that allows the users to transform and convert their existing paper or digital maps into downloadable maps to their Garmin navigator device. Garmin Custom Maps is being created by using Garmin map drawing technology for georeferencing map images and effectively downloading printed or digital maps. Save existing map in JPG format by scanning a paper map or converting into a digital file. Georeference the new map image by using Google Earth to line up key landmarks with those depicted on the map. 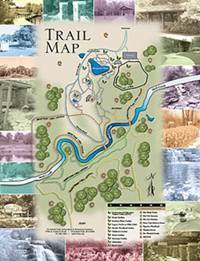 The Custom Maps is available as a free download with the latest Garmin software at http://my.garmin.com. This Custom Maps has been tested to compatible with Dakota, Oregon and Colorado outdoor GPS handhelds. Furthermore, this service is also available for use in PCs and Macs.